A RS McColl in Dunfermline has been raided four times within two months. Three teenagers are believed to be behind a series of break-ins at a convenience store in Fife. 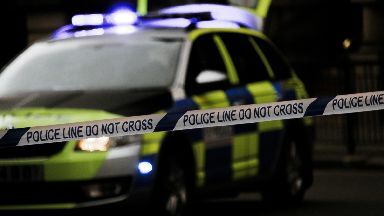 Alcohol, e-cigarette products and confectionery, collectively worth a three-figure sum, were stolen during the four raids at RS McColl in Woodmill Road, Dunfermline. The thefts took place between 1.20am and 2.10am on December 22, 2018 and on January 14 and 25, and February 11. Three male youths, aged around 16-years-old and wearing backpacks, were seen leaving the scene of the first break-in. Detective sergeant Christopher Dow said: "Our enquiries so far have established that it is highly likely that the same three youths are responsible for all four break-ins. "As part of the investigation, we are urging anyone who may have seen anything suspicious in the area, or who has information which could be relevant, to get in touch as soon as possible. "We are committed to helping to keep business premises safe and will continue to work closely with staff. There have been, and will continue to be, additional high visibility patrols in this area." If you have any information which may help the investigation, please call 101 or Crimestoppers anonymously on 0800 555 111. The first male was wearing a grey hooded top, a dark bomber jacket, black Adidas tracksuit bottoms with white stripes, and dark trainers. The second male was wearing a navy blue parka jacket with a fur-lined hood, black jogging bottoms and dark-coloured trainers. The third male was wearing a distinctive hooded jacket with a red lining and had dark hair with a long fringe.